Get all-you-can-eat Help Desk and Support for your entire staff. Don't let your employees just cope with workstation issues; with ITCloud360 they can quickly get a ticket in to tech support without costing your business a dime. With Business Solutions & Software Group, you can stop worrying about IT issues so you can focus on moving your business forward. Our experienced staff monitor and maintain your IT infrastructure 24x7 to keep your business running. Eliminate costly downtime by detecting and resolving IT issues before they bring down your systems. How confident are you in the security of your IT infrastructure? How often do you backup your company's data? Are you storing a recent backup offsite? When was the last time you tested a restore from your current backup solution? 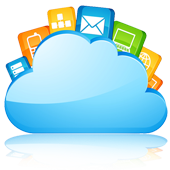 ITCloud360 will give you peace of mind. BSSG, Inc makes it easy to get technical support. Click Support below to find out how we can help you. BSSG has assisted us in expanding our company both economically and efficiently, while at the same time our sales grew 240% over the last 4 years. Their technical knowledge always is current, they respond to our inquiries and service needs immediately, always meet deadlines, are flexisble, stay within budget and are experts at monitoring our network, preventing downtime and anticipating our needs. Business Solutions & Software Group provides professional IT Support for businesses in the South Florida. We strive to give our clients Enterprise-level services and solutions at prices that work for small businesses. Time, experience and technology automation tools has helped us develop best practices and workflow procedures around a proactive philosophy designed to keep your focus on your business, not your technology. Not sure where to begin, or even if Business Solutions & Software Group is a good fit for your organization? Contact us to learn more about how we can help move your business forward.